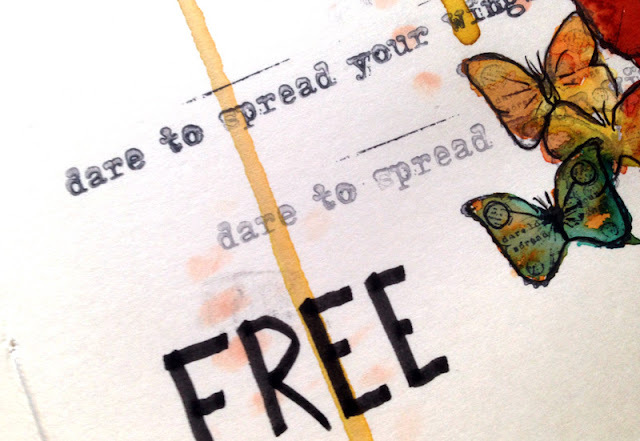 Freedom is one of the most important part of art journaling. There is no set rules and no restrictions. 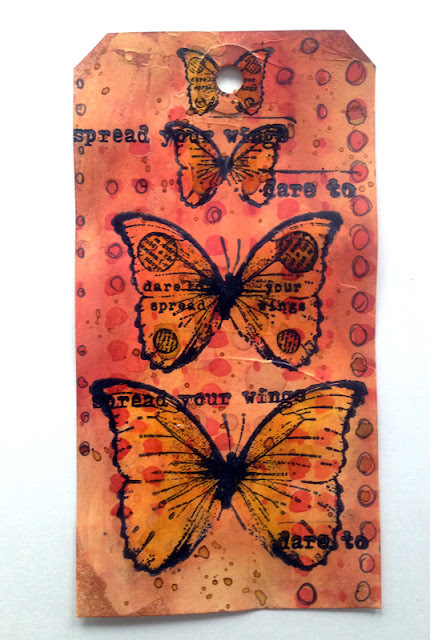 Take a look at Marianne's beautiful journal spread... oh wait, she has one more share for you! 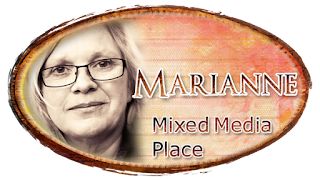 Happy New Year dear Mixed Media Place fans. Hope the holidays treated you all well. 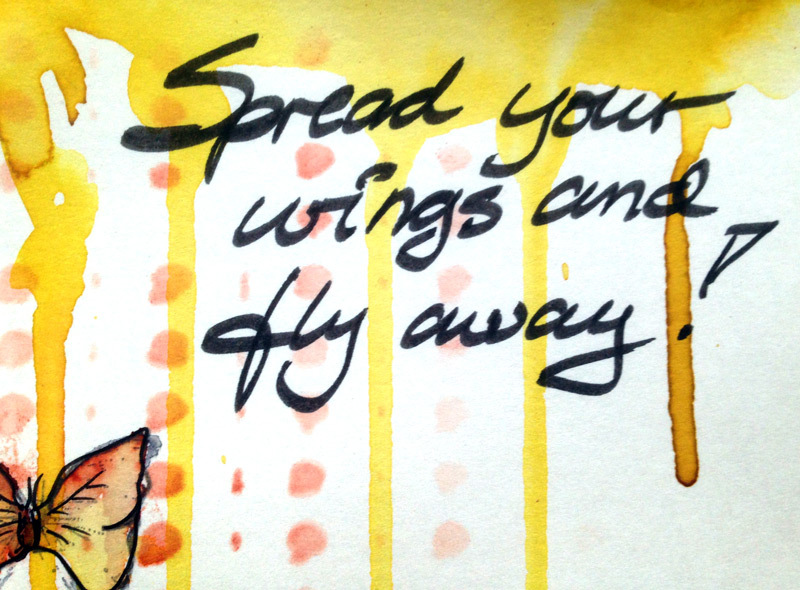 I’m back today with an art journal. A rather clean and easy page, but with an important message – free! Many ways to interpret this word but for me this page is about beeing free to create whatever I want. 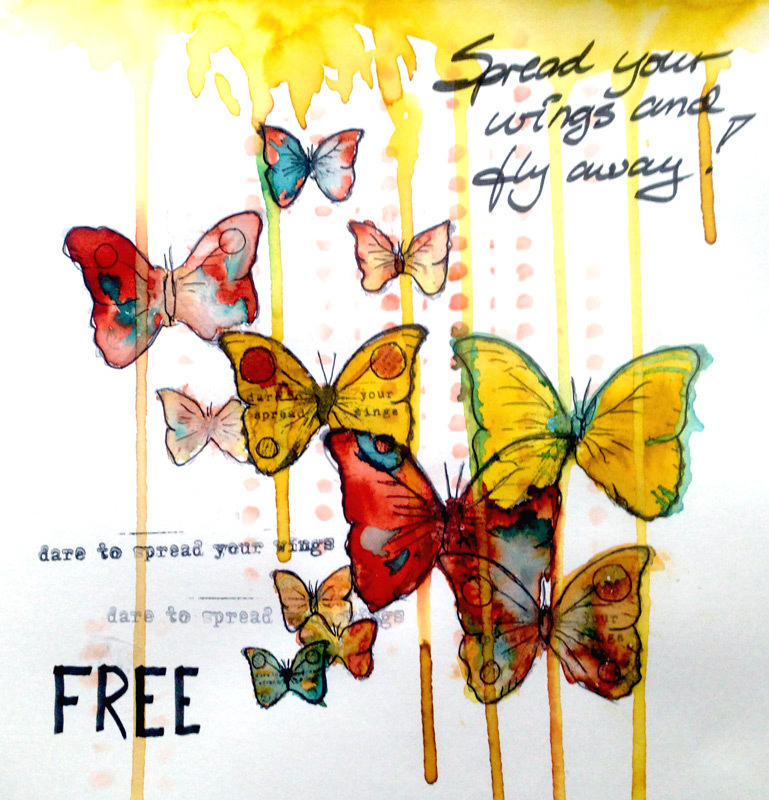 When I received the package with Finnabair/Prima Stamps “don’t forget to fly” I knew exactly what to do, using the beautiful butterflies. I stamped the butterflies rather random with different amount of ink, just to get some different look. 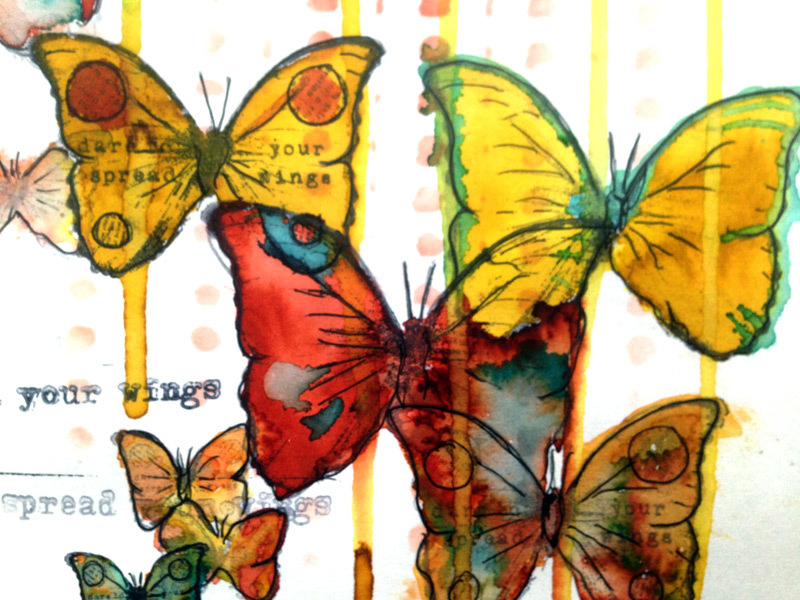 The butterflies are colored with Ecoline watercolors and Finnabairs amazing brushes. 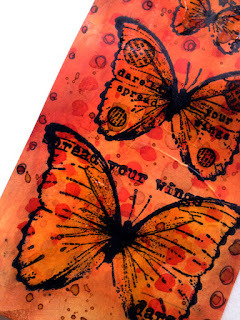 While I was doing the FREE art journal I also made a tag, with the same stamp-set. This time I used Archival ink to color my tag (Gesso first) and I used 3D gloss gel on top of the butterflies to get some texture on the tag. Marianne I love your journal page. And your tag is awesome. You are absolutely right : freedom is such an important issue. We ought to appreciate that we havve freedom and use it a responsible way !! Thank you for sharing your colorful lovely pretty butterflies !! !